I help my clients, not judge them. Financial problems can arise from circumstances beyond your control. Medical problems or divorce can lead to debts that grow out of control. You have made an important step by visiting my website. Debt forgiveness is a vital part of Chapter 7 bankruptcy filings and foreclosure proceedings. As you consider this decision, it is important to remember that any type of debt forgiveness is an economic decision, not a moral one. Regardless, you need the help of a professional. I'm bankruptcy lawyer Andrew Kern, a member of the National Association of Consumer Bankruptcy Attorneys (NACBA), and I help people understand debt and loan forgiveness as part of the bankruptcy process. 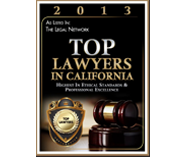 To set up your free initial consultation at the Law Office of Andrew Kern, contact me online or call 707-658-4602. Most debts that are canceled or forgiven must be reported as income on your federal taxes. Exceptions and possible exclusions include debts on a primary residence through a short sale and foreclosure or mortgage restructuring. If the amount is $600 or more, a lender will issue a Form 1099-C stating the income and providing you with the amount to report on your taxes. You will not have to pay taxes on canceled or forgiven income if you can show that you are insolvent or have filed bankruptcy that wipes out that debt. However, you will have to adjust any tax attributes on anything with canceled or forgiven debt. Your CPA, EA, or qualified tax preparer should know the proper way to handle the adjustment of tax attributes. I provide my clients with a comfortable environment in which to discuss their needs. When you come to my office, you will find that I offer free coffee and tea, and I will take the time to get to know you so I can craft a solution that works best for you. I will be personally involved with your case every step of the way. To begin the debt relief process with a free initial consultation, contact me online today. 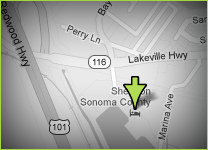 My law firm is conveniently located near Highway 101 in Petaluma, California.